Recently I got the chance to try out The Olympus 7-14mm f/2.8 Pro M.Zuiko super wide zoom lens. As with what is now customary with Olympus Pro lenses, the build quality was fantastic, and it felt and operated like a high quality precision engineered piece of kit, which is no surprise, because thats exactly what it is. It has a manual focussing ring and L-Fn button which can be used for changing shooting modes quickly. The lens feels great in the hand, and the zoom rotation and switches are solid and smooth in operation. As with all my reviews, this is not an extensive pixel peeping exercise, but more of my experience in using the lens and my thoughts. I've always found that the place for in depth scientific analysis of a lens, or a camera is DXO labs. They are the hands down experts,and best place on the planet for scientific reviews on kit. They literally strip kit down to its components and test everything. The software they produce is also based on the hardware from component level up, and is excellent. I use DXO Optics Pro in my workflow and highly recommend it. Im not brand tied, or system tied, I use the best kit I have in my possession for the job in hand. To this end Im happy to shoot medium format, DSLR, Micro Four Thirds or compact. Most of the time though I will shoot DSLR and Micro Four Thirds systems hand in hand. There is just some things each system does better than the other. Weight and size constraints sometimes swing it for the Micro Four Thirds system, after all, why lug 6KG's of DSLR equipment around when I can carry my EM-1 in my pocket, or a small bag. With the recent launch of the Olympus 7-14mm f/2.8 Pro, I was eager to get my hands on the lens and try it out. Why? well besides anything else, I have used a Nikon 14-24mm f/2.8 for a number of years, and its a fantastic lens in many respects, but its weight, size and more importantly its willingness to produce lens flare is an issue for me, and I wanted to see if the new Olympus 7-14 could actually get anywhere near the quality of the Nikon lens. Now as I mentioned before, this is not a labs test, its purely my experience with using the lens. So first up, some sport photography. I've been shooting professional horse racing for a number of years now, and regularly fire remote wide angle cameras to catch the low ground wide view action. this gives me an added dimension to the photography, and something a bit different. It also allows me to double my shot take on a race, because I can fire the remote camera and also the hand held camera at the same time. This shot is one of a series I took at Chester Races. On an outdoor event we are really at the mercy of the ambient light, and on this occasion it was a cloudy low light day, but I was impressed with the tonal range and sharpness of the lens. I was further impressed with the lack of distortion it produced. I shot this at the 14mm end of the lens, @ f/3.5 and 1/1000th second. At 14mm its equivalent to 28mm on what is now termed a full frame DSLR, so its at the long end of the lens, but even so, the lack of distortion was something that immediatly struck me. So now for the short end of the lens, the 7mm focal point. I honestly didn't have any great expectations for the lens at 7mm, after all its equivilant to 14mm on a full frame DSLR, and we all know how specialised that focal length is on those cameras, and just how expensive and rare those lenses are. The above image was taken at 7mm, ISO200, f/7.1, 1/400th sec. I was shooting some interior locations, and tripod mounted my EM-1 and gave the 7-14mm a try out. It was a no brainer, straight from he camera there was virtually no distortion, and even though on this image I was approx 45 degrees into strong sunlight, the lens only produced a slight amount of lens flare, which was actually quite pleasing and I made a decision to leave it in shot, rather than flagging the light or removing it in post. Looking at this image, I had strong sunlight, lit ceiling lamps and heavy shadows to contend with. The EM-1 and 7-14mm lens dealt with it with no problems at all. Once again, the lack of distortion present was nothing short of impressive. Good focus front to back, and only the slightest hint of chromatic abberation on the steel edge of the window frames, where the bright sunlight is striking it. This lens really is a contender for one of the best micro four third lenses I have ever used. This is a similar picture as the previous one, but being single point perspective, its easier to spot distortions in the lens, and there was a hint of barrel distortion, which was minimal and corrected in seconds using Adobe's lens distortion correction sliders in Lightroom. This time there is no hint of lens flare at all, and we were shooting contra jeur, and that was really impressive. So we not only had to get good details in the ceiling lamps, but also the shadows and the exterior view which is basking in bright sunlight. The potential for lens flare and exposure issues is huge in this situation, but the EM-1 and 7-14mm lens just cruised it with no problems. The detail produced is excellent, even the stained glass the drinking glasses are made from shows perfectly on a 1:1 view of the file. The amount of distortion correction I needed to make varied from image to image, some images needed none, other images needed a tweak, and I believe that in part anyway, this was more down to the camera not being perfectly level when the picture was taken, and this then introduced some distortion into the pictures. Again in strong sunlight the lens performed brilliantly, sharp, good contrast and tonal range. 7mm, ISO200, f/9, 1/640th sec. A wide lens is not just a 'fit all in' lens, its about changing perspectives and offering views that otherwise the viewer would never see. The flexibility and super wide view of the 7-14mm lens really allows for creative licence. 7mm, ISO200, f/7.1, 1/4 second. So all in all, a high quality Pro lens, extremely well made, superb performance, razor sharp images, fast focus, virtually no chromatic abberation and limited lens distortion. A hard lens to fault over anything. The price point is even good. 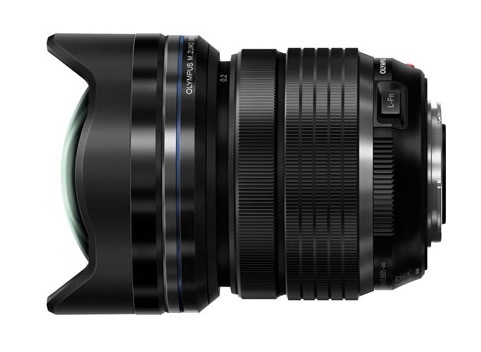 Retailers are advertising the lens at less than £1,000, but all seem to be out of stock as the lens is flying off the shelves as soon as its available. I have had to return the lens to its owner, but will definitely be adding one of my own to my lens line up in the near future.